I incorporate research and human-centered design thinking into the structure, interaction and flow of responsive websites and mobile apps. Content is queen. I thoughtfully create content that speaks to your audience, and develop strategies for maintaining and evolving content over time. I strive to make it easy for others to do their jobs well. Through open-minded collaboration, I handle everything from the strategic vision of the project to the nitty gritty details. Creating a nationwide resource for climate data and information. Leading an agency team, I managed the creation of a nationwide resource for scientific data and information about climate. From stakeholder interviews and requirements-gathering through detailed prototyping and QA testing, I led the planning, development and implementation of the site, from project kick-off through site launch. 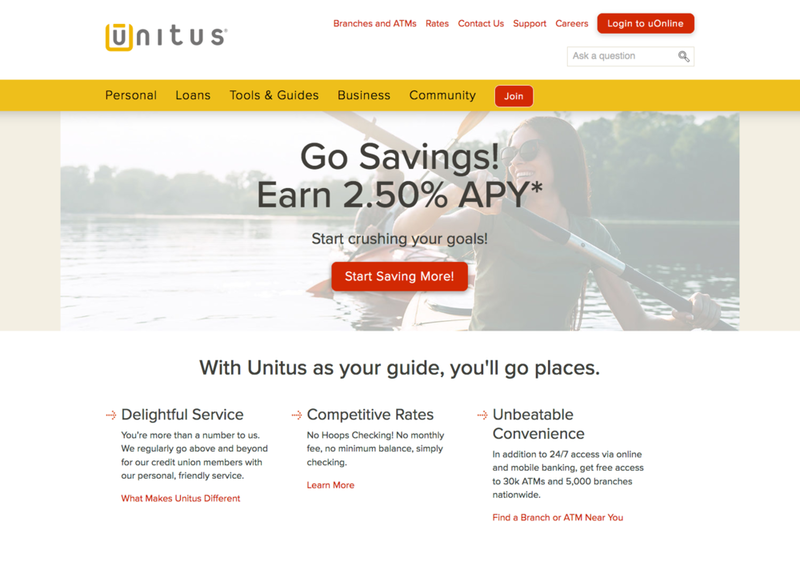 Redesigning the public face of a local community credit union. Working as part of the Pixelspoke team, I took the lead on UX and copywriting, including a full discovery process and detailed wireframes. I conducted stakeholder and member interviews in order to understand the key needs for a successful redesign. In addition to developing the structure for the site, I crafted copy for the entire website, including an interactive financial pathfinder. I conducted a multifaceted research project for a large national credit union to discover how they could best improve member experience. A member survey, member and stakeholder interviews, focus groups and industry best practices research resulted in buyers journeys, digital personas, and a set of actionable recommendations designed to inform the credit union’s forward-looking strategy for their digital and branch services. Modernizing a key research tool for maximum ease of use. As project manager and information architect, I worked on the Squishymedia team in partnership with Westat to update this web-based research tool that National Cancer Institute researchers use to collect dietary data for hundreds of health studies. 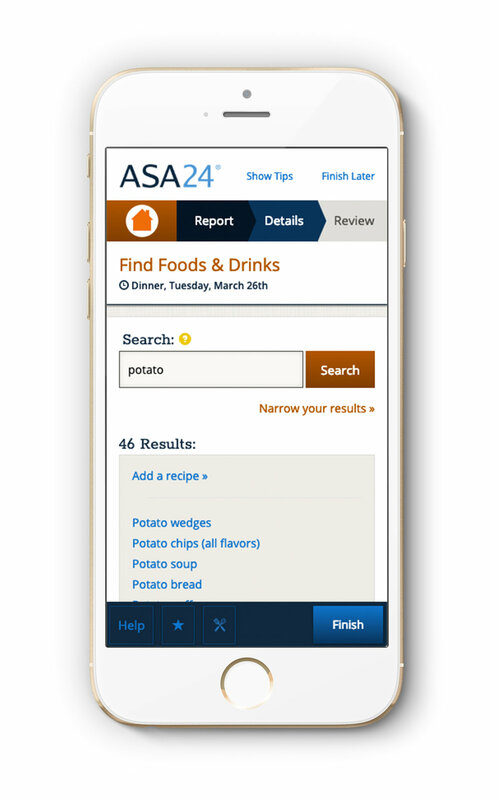 Interviews and a heuristics analysis uncovered legacy issues to be resolved, and a prototyping process introduced a more modern, mobile-friendly user experience to streamline the input process. By lowering the barrier to use, researchers are able to gather more important dietary data. Promoting the hub of the Brisbane food community. As part of the team at Pixelspoke, I strategized a new UX direction for Wandering Cooks, an Australian commercial kitchen and incubator for food entrepreneurs. My interactive prototypes defined layouts and interactions that expressed the breadth of their offerings through a rich, accessible and intuitive interface. Streamlining a community resource for the Denver area. I led the agency team that redesigned a suite of three websites for the Denver Regional Council of Governments. Through better organization and curation of content, we helped tell the story of DRCOG and its role in the Denver region. I provided detailed wireframes that made resources and helpful information much easier for citizens and government employees to find. In addition, I managed the projects and the client relationship, collaborated with the development team throughout each project, and conducted desktop and mobile QA and CMS training. With my partner at Quadruped, we worked with the Chalkboard Project to develop a new, resource-rich website. 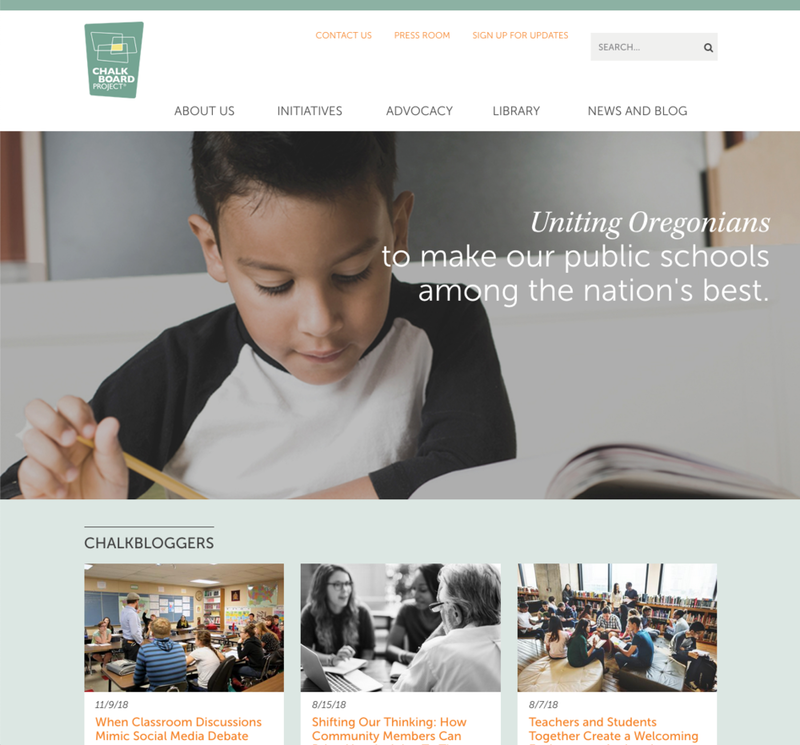 The Chalkboard Project is dedicated to reforming the quality, accountability and stable funding of Oregon's K-12 public schools, and their website is a key way to share news and resources with teachers, state legislators and advocates. I created prototypes and designs for a welcoming and user-friendly website, which we developed in Drupal for easy upkeep by the non-profit staff.